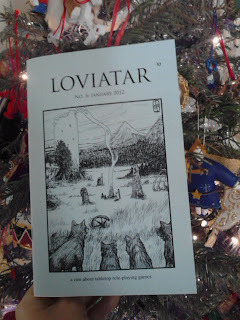 Loviatar issue #6 has arrived in my mailbox and this zine just keep getting better and better. Check out the run down on Christian's webblog for Loviatar here! That was a fun issue to write. :) Jay Penn's art work is really making that hex crawl come to life. I am so luck to have met him. Thanks for another great issue and Happy New Year!